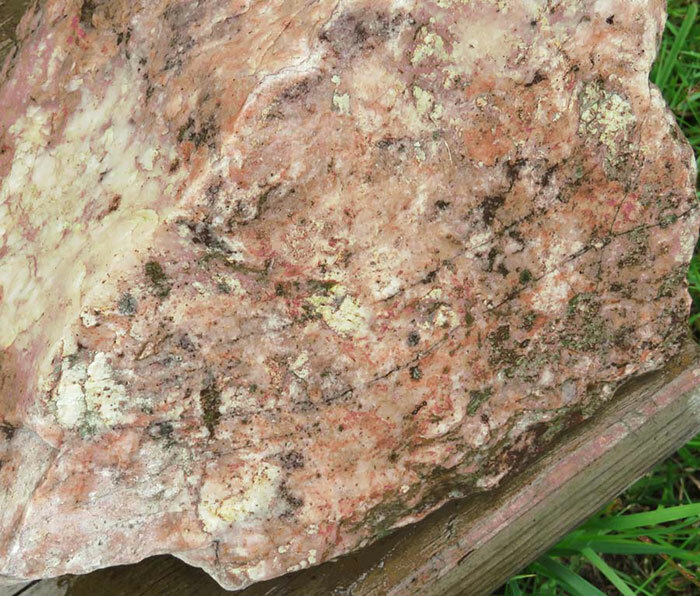 This rock is named after the Kona Hills, located in Marquette County, Michigan. This is an ancient formation of fossil stromatolite that is between 2.1 and 2.8 billion years old. Most dolomite found throughout the world is gray or white. Kona dolomite is quite colorful and is found nowhere else. Dolomite is a calcium-magnesium carbonate and fizzes in warm acid. Dolomite is limestone with magnesium added. 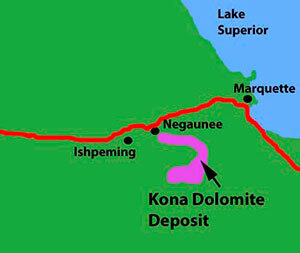 The Kona formation is dominantly dolomite with interstratified layers of shale, graywacke and quartzite. The dolomite beds are from a few inches to many feet thick, but even the purest beds contain thin cherty layers and other sedimentary clastic material. 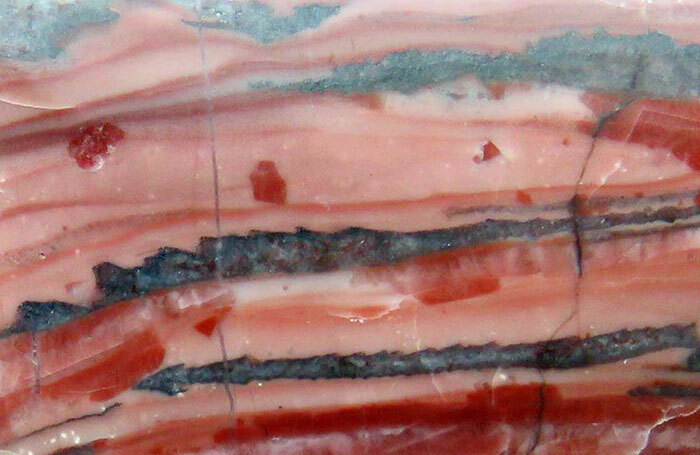 The original organisms that created this fossil rock were some of the first life on earth. 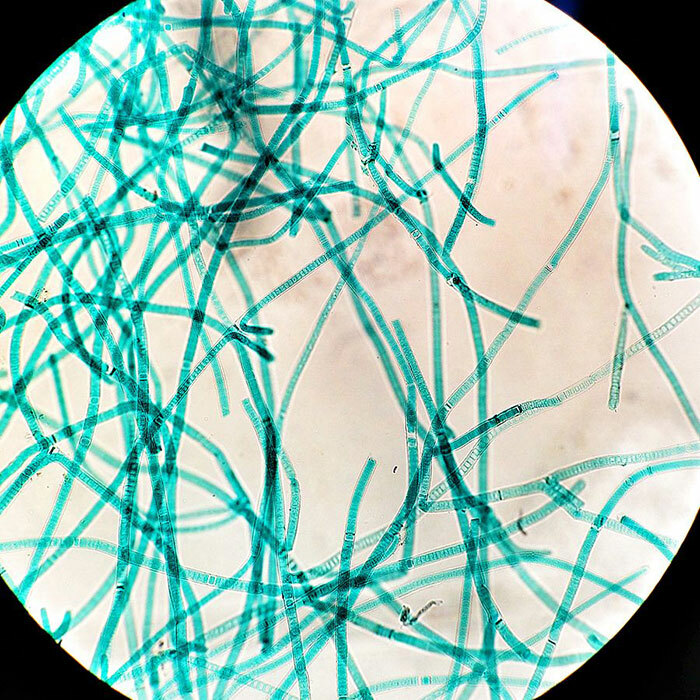 There was nothing to eat so these early cyanobacteria survived by using the energy of the sun via photosynthesis. Cyanobacteria were responsible for producing the first oxygen on earth as a byproduct of this photosynthetic process. Thus, if it were not for stramatolitic organisms, according to scientists, we would probably not be here. 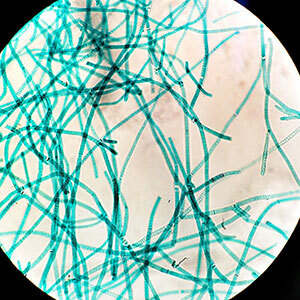 The cyanobacteria grew in shallow water as flat mats to maximize exposure to the sun. The fossil rock formed as the cyanobacteria mats trapped, bound and, and cemented sedimentary grains. Over time, as the trapped sediments blocked the energy of the sun, the cyanobacteria would develop another mat on top of the mound. The mounds grow in various shapes including conical, stratiform layers, branching, and domal. 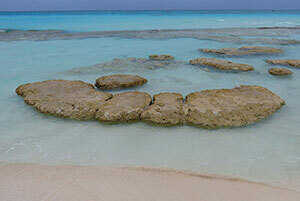 The earliest stromatolite mounds are believed to be 3.7 billion years old. They peaked around 1.25 billion years ago. Originally scientists believed these species of cyanobacteria were extinct, until live stromatolite mounds were discovered in Sharks Bay, Australia in 1958. Even though 99 percent of all species that have ever existed on earth are extinct – it is amazing that stromatolitic organisms were the first living things on earth – and they are still here. Living stromatolites mounds can be found in Australia, Chili, Brazil, Mexico, Belize, British Columbia and the Yukon (Canada), Minnesota (US), South Africa, and the Bahamas. In modern microbial mats, debris from the surrounding habitat can become trapped within the mucus, which can be cemented together by the calcium carbonate to grow thin laminations of limestone. 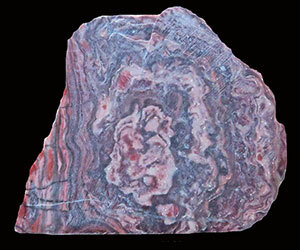 Fossilized stromatolite rock can be found throughout the world. Kona dolomite is one example. Because of its tremendously old age, and due to trace minerals, Kona dolomite can be found in a variety of colors including pink, brown, yellow, tan, cream, red, and orange. The colors are often complex with mottling, banding and lacing. The black wavy lines in Kona are the remains of the microbial mats. 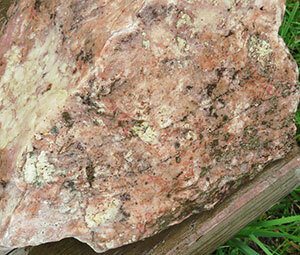 The unique pink and red pigments are caused by the iron in the soil. In the rough before polishing the rock does not look nearly as nice – but still cool. Lapidary enthusiasts enjoy working with this rock because they make beautiful slabs used in crafting clocks, wind chimes, spheres, bookends, cabochons, and other items. Kona is also used for building stones and for making refractory bricks for furnace linings. 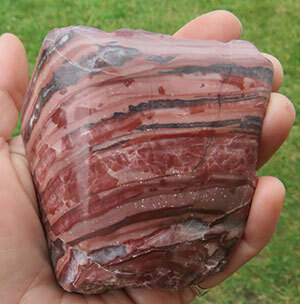 Due to its vivid coloration it is also used for decorative purposes as crushed stone for borders and walkways. Thanks to Bob and Peg Clark for their donations of Kona dolomite specimens and slabs to the Gitche Gumee Museum.